Hello everyone! I hope you all had a FANTASTIC weekend, because I know I sure did! 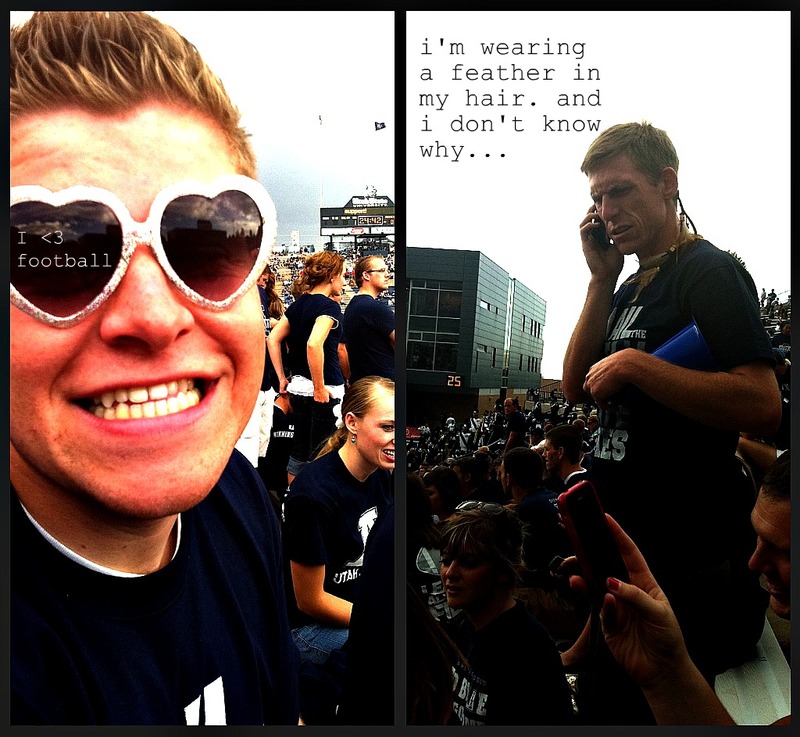 Remember that time I told you that USU would kill Weber state? If not, look at the post below this. I surely said it. AND I was surely right! My love for Utah State - despite the bad reputation of our football team - is going to be vindicated, I can just feel it. Look out everyone, here we come! friends at the game. too cool for school... actually, not true. we love school. Oh, all right, enough about football... you want to know what fantastic food we rangers of the Pinterest Group made this last Saturday? Well, prepare to be amazed. You may recall this post. Where I admitted that yes, I do happen to be obsessed with panini's. Well... you got it! I convinced the rangers that this was something they should also be obsessed with. All right... it didn't take much convincing. The panini's speak for themselves. Want to take a look? This isn't the picture of what we made, it was just a picture of a panini that I found. 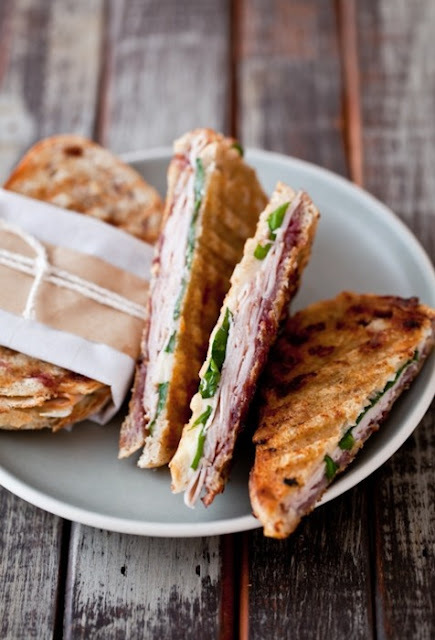 We kind of made our own panini recipe this time... but here's what they look like! Sorry about the picture... we made them after the game, so it was dark, and the lighting wasn't the best... but they turned out absolutely delicious! p.s. maybe yesterday i got talked into getting twitter? i did not see that one coming. follow me! @shor_t_rose. (that's what you do, right? the @ symbol? Ha. I'll get there.) yeah, that's my gangsta name, jealous? my brother was sitting right behind you guys at the game! (he texted me saying he recognized braden and my efy friends from pictures) and he told me to tell all of you guys good job on throwing you up in the air when we won. just thought you should know. Really? That's awesome! Hahahaha, I need to write a blog post solely about being thrown in the air :). It was epic... I just need to get the pictures from someone! I am truly honored to make my first ever blog appearance. Well I guess I've made my grandmas blog a couple of times but definitely not wearing heart shaped glasses! yellow paninis? gag. i'm sure they were okay though. Mad, those paninis look weird. I was wearing the feather in my hair because Callie put it there. Also, it reminded me of a Jedi braid and Jedi's are cool. Also, also, paninis are cool, especially the ones we made. Oh Pinterest. It was truly changed our life and enhanced our friendships with one another. Choose the Rangers. Braden, I liked your feather Jedi braid! And Madeline, I thought I got a picture of you being thrown in the air...I actually swear I did...but my camera is special and now I can't find it anywhere. haha.